Ready to meet another one of our people? Let's move on to Martina: she is the one our clients meet in Santa Margherita when they first reach the enchanting San Gimignano, ready to be bewitched by its beauty, taste our products or stay in our lovely facilities. Martina holds three crucial roles: face of the company (she is the very first one you see), key master (without her, the rooms of our apartments do not open) and warehouse gatekeeper (without her permission, no bottle leaves). Let's get to know her better! What's your job at Panizzi? I'm in charge of accommodations booking and logistics. What is the skill that those who do your job cannot absolutely lack? As for booking and reservations, the only really necessary feature is patience! People of all nationalities call us or come to us (and sometimes there are communication problems) and at all hours (even those where no guests are supposed to be on the estate). When I interact with them I must always keep in mind that they have traveled halfway around the world to come to us, to taste our wines and enjoy our unique landscape, and then I put friendliness first and everything goes well. As far as logistics and back office activities are concerned, precision, work organization and punctuality are fundamental: the flow of the company depends largely on me! What is your favorite element in your work? The variety of tasks: it is not a routine job. When we talk about booking, every request is never the same and I always get excited when the ones contacting us are couples who want to organize their wedding in our facilities in Larniano, a truly enchanting place. As fas as logistics goes, each product order has its own history, wine destinations are the most varied, from remote corners in Italy to the most distant and unsuspected countries around the world. I like these facets of my job, taking shape during the day: sometimes I get to improvise a tasting session for ununnounced guests, some other time I have to study the expedition details for a new country, or meet the oddest requests coming from some client. In short, it is a joyful job, because we sell joy: wine and parties! What did you do before working in Panizzi? I come from a very different domain, which as far as I am concerned, was way too much routine. I was an administrative employee, chasing themonthly deadlines that never changed, without any twists or joy: just VAT and tax forms. What do you do in your free time? What are your passions? I love life in the open air, walking through our wonderful countryside ... and horseback riding. I truly love these proud animals and I am so lucky to have Isabella, my horse friend, a companion of so many adventures. I love reading, especially novels and the classics of literature. Oh and I also adore crossword puzzles. 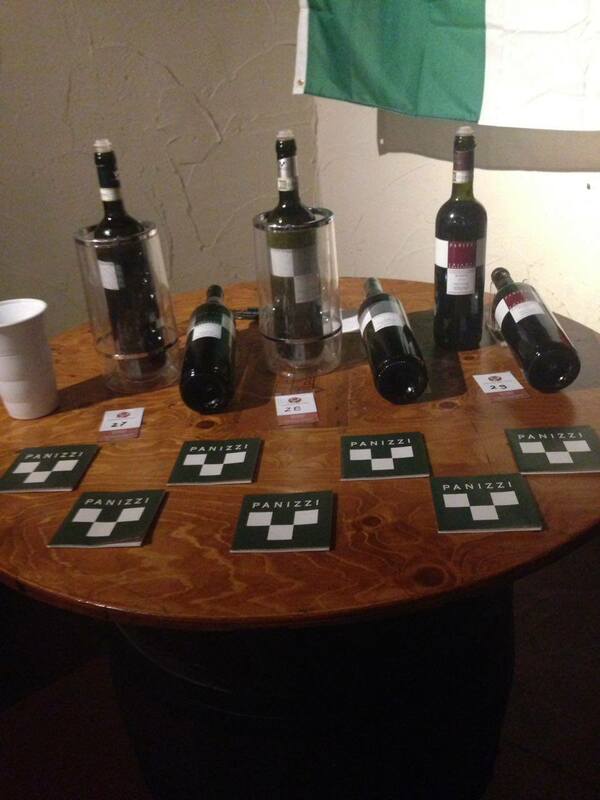 What is your favorite wine in Panizzi? Which wine do you identify with most? Why? I crave sweets, so my favorite wine can only be the Passito. It has no rivals for me and pairs greatly with sweets. What is your favorite place at Panizzi? The panoramic terrace in the shade of the large tree next to Villa la Torre in Larniano. From there, the eye sweeps over our vineyards in a surreal silence. What is your favorite place in San Gimignano? The church of Santo Bartolo, in via San Matteo. The building dates back to the twelfth century and originally served as a hospital, a shelter for travelers on the Via Francigena. I discovered it by chance only a few years ago, even though I have worked in San Gimignano for over 12 years. It is a small church outside of the touristic routes, a mystical place of silence and peace. March started out with rain and snow: San Gimignano was whitewashed and our vineyards, dominated by the city towers, suddenly appeared in a way that is rare to see , full of charm and silent mystery. But there is not time to linger on romance and out #panizzipeople are getting geared up for the upcoming promotional events. 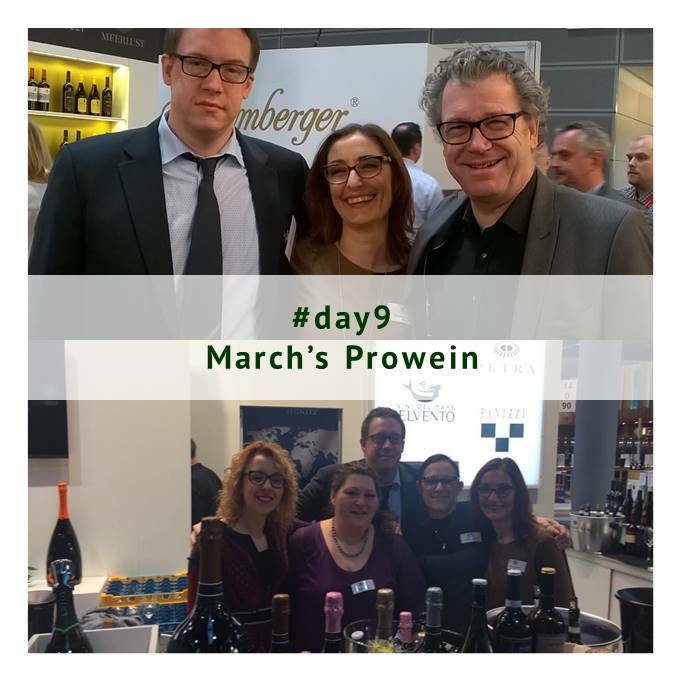 The efforts are obviously concentrated on Prowein taking place mid March, but let's not forget a very important occasion happening before that, which focuses on quality and Tuscany. It's Terre di Toscana, now at its eleventh edition, which never ceases to fascinate professionals and the general public. 130 major Tuscan winemakers, from niche winemakers to international brands, will present their excellent wines on March 4 and 5 at UNA Hotel Versilia in Lido di Camaiore. All the details can be found on the official website. Right after that, it will be time to leave for Prowein in Düsseldorf, Germany! At Prowein 2018 Panizzi will be hosted by its distributor Schlumberger/Segnitz at Hall 14, Booth D90. The trade show will take place March 18 through 20, 2018. There surely be other minor events taking place in March so stay tuned and keep following us. Who is Panizzi? Above all it's its people. After the portrait of owner Simone Niccolai, let's move on to another one of #panizzipeople: Susanna Santini, #supersusanna for our social media friends. She is the face of the company, the one that represents it in Italy and abroad, a true Ambassador for quality Vernaccia di San Gimignano throughout the world. She covers the five continents promoting Panizzi's wines that have marked a quality leap of our historic vine. It's impossible not to hang off her words, when you get overwhelmed by her passion and expertise. But in addition to her vocation for a job well done and her passion for great wine, Susanna is so much more. Let's find out what it is. I am the Sales Manager for Italy and the rest of the world. The will to communicate and discover, curiosity. Travelling. I believe the most important and valuable element of travelling is the journey, opposed to the destination: with you journey you get into contact with cultures, customs and traditions, languages, smells and tastes that are different from those that normally surround you. Diversity, existing in any kind of journey, enriches me. Understanding and appreciating this aspect makes the difference for those who do my job, because it creates a privileged channel of communication between two people. I used to travel! Yes, travelling has always been my great passion. Hence my education as a travel agent and the study of foreign languages. In fact, professionally speaking, I started out as travel agency director and then moved on to contribute to my family business: a racing car team. This second experience was a great school of life. I collaborated with professionals at the very top (BMW, therefore McLaren and Williams, just to give an example); I participated in top-level events like the 24 Hours of Le Mans. I learned a lot, both in terms of management, logistics and organization, and in terms of public relations. Surely the most important teaching I carry within is the importance of teamwork. Today more than ever, I know that every single person on the team, any team, has a unique and key role, each one functional to the success of any project. In the end, in fact, we are all together under the podium celebrating, or we all cheer each other up when the result is not what we have hoped for. Taking a step further, I think ... Are not all functional to one another? After this experience I landed in the world of agriculture, moving from machinery trade to winemaking, where I am today. My very personal passion for wine contributed in an important way to this change: over the years I trained as Sommelier and Taster with AIS. The work at Panizzi was a further disruption of my life and the beginning of a new one: I started from scratch again, doing back-office work and taking care of reception. But when I was offered a sales role, I immediately accepted. How could I say no? It was like a dream come true. I have many passions. Since I was a child, I have been attracted to music and dance. Almost twenty years ago I approached oriental calligraphy, a journey within the journey! In recent years, however, my interest turned to the understanding of the relationship between people and nature, then to the study of how we men and women function in relation to the environment around us. Then I started hiking ... Around San Gimignano there are plenty of opportunities, starting from Larniano, west of the city center, where Panizzi owns a receptive structure made of ancient paths and wonderful restored farmhouses, how marvelous! I just pack some essentials, and I start walking. Vernaccia di San Gimignano DOCG. It's like a child: simple, pure and spontaneous, but already capable of great things. Santa Margherita, the place where it all began, the heart of the company. My office faces on Santa Margherita vineyard, the oldest vineyard, or - as I say - the wisest. On the other side, the view is over San Gimignano's skyline. There is a special energy, difficult to explain ... One must live it to fully understand it. There is a place in San Gimignano that I find very feminine, at least for the use that was made of it until recently. It's Le Fonti. It is a place located within the historical center, but outside the most popular tourist paths. It dates back to the fourteenth century, created to allow women to draw water and wash clothes: ten Romanesque pointed arches hide an ancient water fountain dating back to Longobard times. Here the women of San Gimignano took water and did laundry daily up to the last century. Who knows how many of my ancestors passed through these arches. When I want to get out of the buzz of everyday life and find peace and calm, that's where I go. The atmosphere is magical. And then I align myself with Simone Niccolai, saying that the other place of my heart in the city is Piazza Pecori: there my maternal great-grandfather, Teodoro, more than a hundred years ago, had a carpenter's shop. He built and repaired wine barrels. What to say? Perhaps my career path was a return to basics! Prowein and Vinitaly 2018 are behind the corner: Düsseldorf and Verona are getting ready to host the two most important trade shows in the wine business and we are getting ready to present our latest vintages as well as the gems of our production. Prowein 2018: we will be hosted in the booth of our distributor Schlumberger/Segnitz at Hall 14, Booth D90. The trade show will take place March 18 through 20, 2018. Vinitaly 2018: we will be at Hall 9, Booth B14. The trade fair will take place April 15 through 18, 2018. The year is off to a great start for Panizzi: the February calendar is already almost entirely filled with promotional events that are very different from each other, by location, nature and target. Among these is the key appointment of the year: the Preview of Vernaccia di San Gimignano organized by the homonymous Consortium, the true litmus test to find out the quality of the new vintages of our beloved vine. But let's proceed with order because the dates are so many! 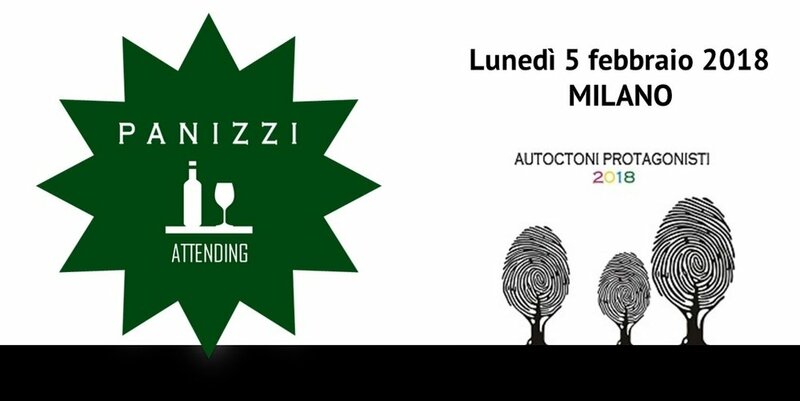 Let's begin with Monday 5, with "Autoctoni Protagonisti", the event organized by the Italian Sommerlier Association, Milan Delegation together with Luxury Wines. This is a special event, always successful, entirely dedicated to Italian vines. The event is aimed at the world of sommeliers and wants to bring together excellent producers of Italian native wines, the very heart of Made in Italy. The final intent is to shed a new light to these productions and let them shine as they deserve to, since they can give so much to the domestic and international wine industry. Susanna Santini will be in the front row to represent us. Save the Date and set your navigator to The Westin Palace Hotel in Milan. The event will take place from 3.30 to 8.30 PM. No time to lose: the following day, Tuesday 6, Susanna will be at Marina di Pisa at restaurant L'Enoteca. At 8.30 PM, she will accompany the lucky guests in a guided tasting: the small culinary masterpieces of chefs Francesco and Sandra will go hand in hand with the gems of Panizzi's production. Friday 9 and Saturday 10 things get serious: BUY WINE, the trade event organized by the Tuscany Region and PromoFirenze will take place in Florence, at Fortezza da Basso. The aim is to facilitate exchanges between international importers and Tuscan producers. From 9.30 to 4.30 on both days Susanna Santini and Walter Sovran, director and winemaker of Panizzi, will engage buyers to give prestige to Vernaccia di San Gimignano and Panizzi's wines: #vernacciaambassadors, as always. And here we are at the topical event of the month and of the year: on Sunday 11 and Wednesday 14 the winemakers of San Gimignano will present their new vintages of their Vernaccia di San Gimignano wines in the rooms of the De Grada Museum of Modern and Contemporary Art. More than forty producers will attend, about a hundred labels will be previewed: a true unique opportunity to discover the results of the 2017 vintage. However, we should not forget that wines from the past vintages selected for their representativeness will also be available for tasting. The Consorzio della Denominazione San Gimignano, like every year, has divided the two days by target: Sunday 11 will be open to the general public, national operators and international buyers; Wednesday, February 14 will be open to the national and foreign press only. More info here. We are not done yet: on Saturady 24 Panizzi goes back to Florence. Walter Sovran will be a very welcome guest at Ristorante Olivia, just like lask year, for a lunch featuring gourmet olive oil fried dishes paired with the lightness of Panizzi wines. Our winemaker will guide the rest of the lucky guests and disclose the secret of the featured Panizzi wines. The lunch will take place at 1 PM at Olivia, piazza Pitti 14/r, but the event is sold out so you should call to be put on the waiting list. The month will end with an important kick off event, organized by our number one partner in Tuscany: we are talking about the 2018 Premium Tasting taking place on Monday 26th at Hotel 500 Firenze. Premium Distribuzione will host a private tasting from 11.00am at 7.00 pm, where all of its affiliated winemakers will showcase their new vintages. Walter and Susanna will present them to all agents, accompanying them in the tasting and unveiling some productive backstories. Don't forget to on follow us on social media to stay up to date: our Faceboook page and Instagram profile. See you soon! Behind a great company there always are great people. And these people must be told about: beyond the ability to do their job, there is passion, identity, a special bond with the territory of San Gimignano and an insatiable desire to create excellent wines. 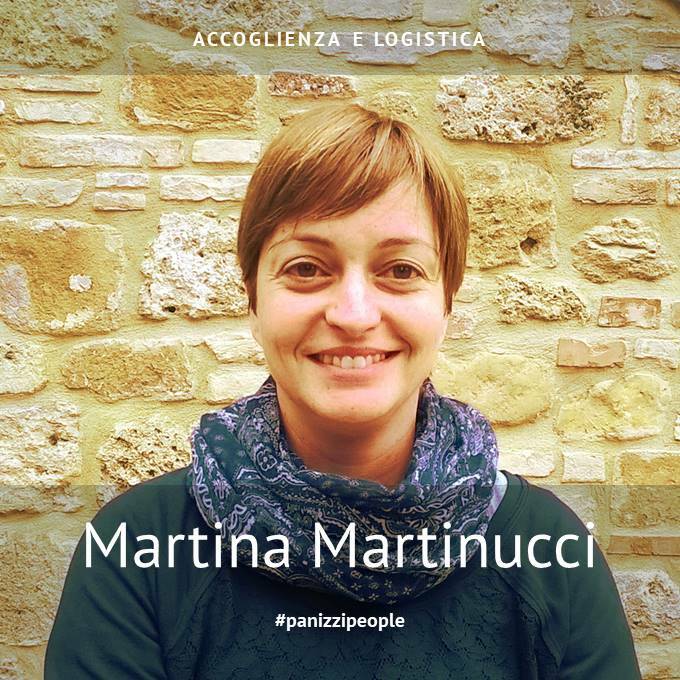 In the next few months we will tell you about the people of Panizzi, the #panizzipeople, one by one, with a brief portrait and interview describing them, because each of them contributes to making our company and our wines great. Now, to tell a complete and understandable story, we need to start from the beginning, so even if we have already told a lot about him, let's start from Simone Niccolai, owner of Panizzi. What's your job in Panizzi? I am the owner: I inherited the company in 2005 from my father, who received it from Giovanni Panizzi, the founder. Certainly the passion for wine: in my family winemaking, olive oil making and hospitality have always been there, first for a matter of survival (I'm talking about the beginning of the last century), then entrepreneurially. managing people and figures, which keep the company alive. Innovation: after I joined Panizzi, some new wines were created, and they were born from my personal passion. I'm talking about Pinot Noir and Passito. Without my strong will and the indispensable contribution of the rest of the people in the company, winemaker and oenologist in the first place, these amazing products would not exist. I just love that Panizzi goes against the current and stands out, with products of the highest quality is priceless. It would be better to ask "What do I do": I am the administrator of Luano Camp, which owns the Rimor brand, one of the leaders in the manufacturing of recreational vehicles, campers and caravans, my father's true creation, who founded it in 1978. Golf and my German shepherd Birdie. The name is intentional. My favorite wine is Vernaccia di San Gimignano Riserva, because it really is a great wine. The wine in which I identify myself most, however, is Pinot Noir, a pleasant folly in San Gimignano. We resemble each other: we are not at all obvious. What is your favorite place in all of Panizzi? Under the big tree at the top of the highest hill of the farm, with San Gimignano in front and the vineyards of Santa Margherita around. Wonderful. What is your favorite place in San Gimignano and why? I do not know. I was born jere and I have always breathes this air; San Gimignano is part of me and it would be a stretch to prefer one place over another. I go around the world continuously, passing from one metropolis to another, but when I see the towers, on this isolated hill, I know I have finally returned home. A truly unique corner? Piazza Pecori with its wonderful Ghirlandaio fresco, a surprise. Vuoi leggere di più sulle #panizzipeople? Continua a seguirci. Wonderful for us: a year of winemaking, events, innovation, awards. If you followed us on our social media, you are surely aware of all our movements during the year and of our achievements. However the end of the year is always the best time to celebrate the very best of the year and take the occasion to wish everyone some wonderful holidays. We created one image per month and placed it inside our very special advent calendar, that you can also find unveiling every other day just about on our social media channels Facebook and Instagram. If Panizzi wines were students of a single class (and what a class! ), Vernaccia di San Gimignano DOCG 2016 would be our pupil of the heart, the one who arrives first effortlessly, with all its naturalness and freshness. Even though it dies not receive all the attention of Riserva or the special treatment of Vigna Santa Margherita, it amazes for its fresh, light and exciting taste. So here are the awards of our Vernaccia di San Gimignano so-called base, a term that helps to understand the quality levels that Panizzi can reach. I Vini d'Italia de L'Espresso 2018 listed it it among the top 100 Italian labels, and in particular among the "100 Wines to Buy", thanks to its good value for money. It defines it as one their favourite wines in the denomination, striking for its mineral tension, texture, length and depth, emphasizing in particular its pleasant taste of dried fruits and its final with flint and officinal herbs. The guide also appreciates the longevity of our wines and recommends in particular Vigna Santa Margherita 2015. The Vitae Guide published by AIS Italia awarded 2 grapes, recognizing in Panizzi a nonconformist and innovative player, celebrating our whites rich in scents and vigorous in flavors. The Guide Gambero Rosso 2018 awarded it the 2 glasses, as well as a Quality Award in Berebene 2018, while Veronelli's Guide awarded 2 stars. We saved the best for last, Vinibuoni d'Italia of Touring Club Italia assigned our Vernaccia 3 stars. But as mentioned, this wine is but one of Panizzi's class of pupils, a class we obviously love in its entirety. So here is the complete list of all Panizzi awards. The harvesting of our olives has begun and will continue for another few days, but the extraction has already allowed us to anticipate the extraordinary product that is Panizzi's extra virgin olive oil 2017. In the coming days it will be bottled and placed in tins for sale. This year there will be two new sales formats. But let's proceed with order. This of 2017 is a beautiful production, the result of a collection of very gentle-tasting olives, reinvigorated by the pruning made last year on the plants of our olive groves. The harvesting occurred slightly ahead of the seasonal average due to the great warmth of this last summer, but at the same time it came out as a wonderful surprise: torrential temperatures and no rain had left the plants seemingly without fruit, but just when pessimism had begun to spread, abundant and sudden rainfall in mid-July made a great deal of olives appear like magic. Moreover, the little water received from the plants in the first half of the summer has made the fruits grow very rich and the pressing yield came out unusually high for us. Thanks, therefore, to Vertunno, the etruscan god who is in charge of seasons changing. Verunno gives his name to one of Panizzi's signature wines, so we feel particularly close to him. We want to believe that he has had a particular eye for our estate: throughout Chianti, olive oil production has been greatly penalized, but that was not the case for us, although for olive oil, as for wine, the quality beated quantity in 2017. As for composition and production process, Panizzi olive oil goes through cold pressing and is made with Leccino, Frantoio and Moraiolo olives. Our olive groves extend on an altitude ranging from 250 to 350 meters above sea level and grow on clay-calcareous soils, in ideal conditions. These characteristics help to create a well-connocted taste, typical of our territory. But let's proceed to tasting. First let's look at it. It flows like bright green gold in our production plant and it appears clearly for what it is: the precious and rich juice of our land that seems to radiate energy and vitality, only by looking at it. The scent reflects the appearance, with its intense and fragrant aroma, which reverts to Mediterranean herbs, mint and chamomile. The taste is pleasing, gentle, soft, enveloping, silky, with the famous stinging characteristic of freshly pressed olive oil. Although it is not as aggressive and prickly as olive oil of less hot and arid years, it exhibits an extremely connotative taste, with very remarkable artichoke notes in the final. In addition to the four sales formats already available in the past years, meaning the 0,5 liter, 3 liter, 5 liter tin cans and the 0.75 liter bottles, this year the 1 liter tin can will also be made available. In addition, the glass bottle is renewed in shape. To see all available formats click here. Finally, new labels are also available for new and existing formats. Panizzi reserves a special gem for its fans, lovers and true olive oil connoisseurs: the highest quality olives from the 2017 harvest will be used for the production of extra virgin olive oil IGP Toscana, a small de luxe production. Most likely this special olive oil will be bottled (not put in tin cans): a precious packaging for a true delight, a niche in the niche. After the harvest, here at Panizzi we do not like to waste time. Susanna Santini and Walter Sovran have just started to promote their new vintages available, but also the old ones. What we mean? Read on to have this last sentence explained. 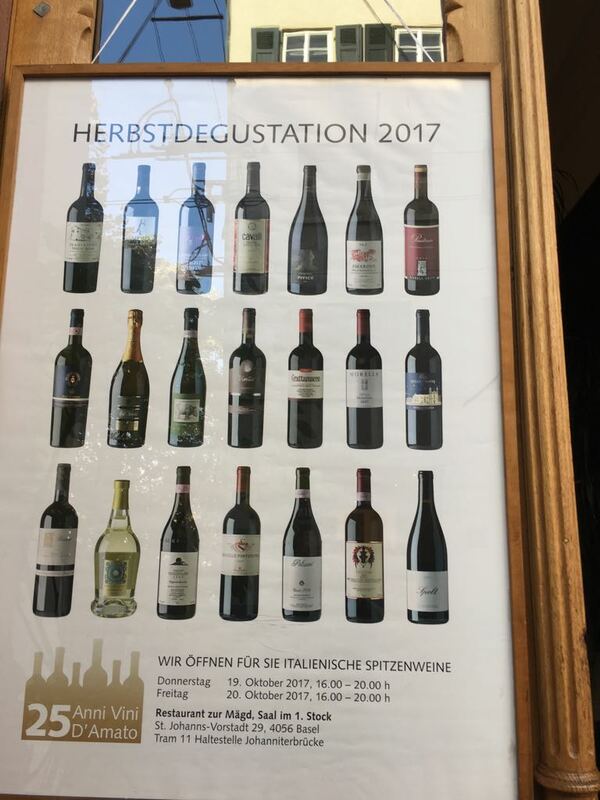 We took part In a special wine tasting held on 19th and 20th October in the wonderful city of Basel, Switzerland. The evening was organized by our local partner Vini d'Amato and it was - obviously - entirely dedicated to Italian wine. The tasting took place in the splendid setting of Zur Magd restaurant. 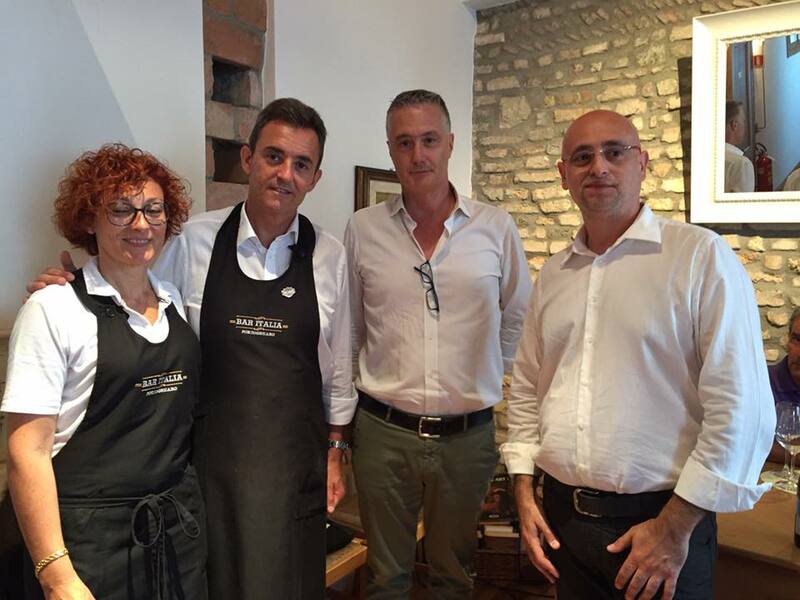 A great way to celebrate 25 years of good business for Vini d'Amato! Although we did attend this event directly, Panizzi was somehow present at a Master Class organized by Consorzio della Vernaccia of San Gimignano and held by the journalist Daniele Cernilli on Monday 23 October in Rome. It was open both to the press and distributors, and the best wines in the denomination were tasted. And it's not over with Rome: on October 29th we participated in Life of Wine, an evening organized by UMAMI only in honor of the best old vintages in Italy. Susanna and Walter delighted those present with some real gems of our production, only for true connoisseurs. Here we are: the most significant time of the year has come to an end. After two weeks of full dedication to harvesting grapes from all the corporate vineyards, the technical facilities abound with healthy bunches due to become the next batch of amazing Panizzi wines, vintage 2017. "The harvest overall conditions have been great," says Walter Sovran, our winemaker - apart from a couple of days of clouds and light rains, the weather was spectacular. We could not hope for anything better to pick up the grapes and ensure their perfect storage and transportation". The below photos fully represent our 2017 vintage: light-cut games of disarming beauty, grapes of extraordinary colors ready to be picked up, breathtaking landscapes under a clear sky and under rare clouds. With regard to the history of the events that marked our harvest, the beginning was the last week of August with the grapes of Passito in Seggiano (Grosseto), while the first days of September were dedicated to harvesting the grapes for our red wines in San Gimignano; finally we harvested the Vernaccia grapes, in San Gimignano of course, from mid-September for just under two weeks. And from the point of view of the quality of the harvest what can we say? "Healthy grapes and great expectations," Walter Sovran continues. "It was certainly not an easy year, given the small amount of grapes we have harvested. We all read alarming news these weeks. The important thing is that the grapes are healthy: they promise well and we are wholeheartedly confident that we will get a quality result. " Regarding the direst difficulties of this year's harvesting, the specialised press has reported some important data that can not be ignored: Coldiretti reports that production was 50% compared to regular years, the lowest in the Country in the past 50 years; Acneologists, Ismea and Uiv confirm this situation (though with slightly more favorable percentages). 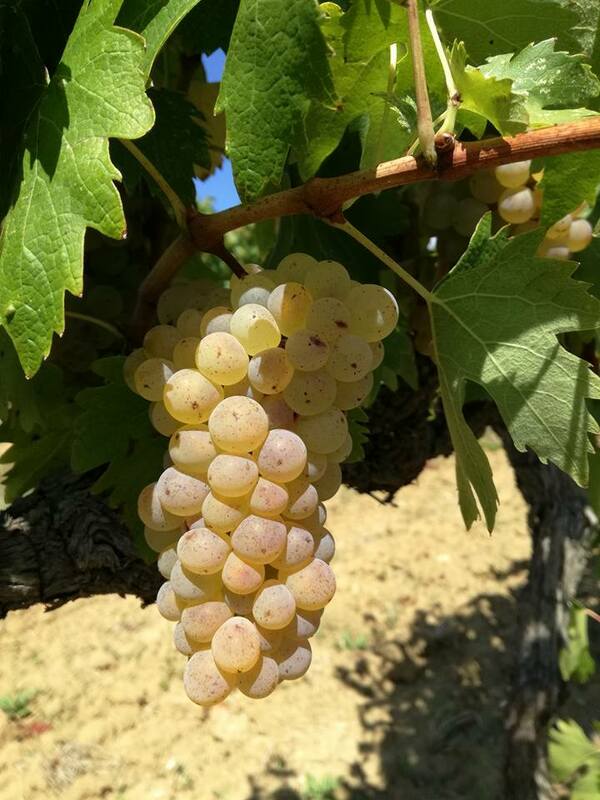 In general, the vintage of 2017, throughout Italy, began in August, much earlier than average; winter and spring have not spared ice-cold events and periods of great dryness, until the extreme heat of the summer. Also overseas (anywhere in Europe and the world), frost, hail, gusts of wind, heat peaks and droughts have contributed to significantly lowering the production (-8% in Languedoc, -11 / 25% in La Mancha , just to make two examples). 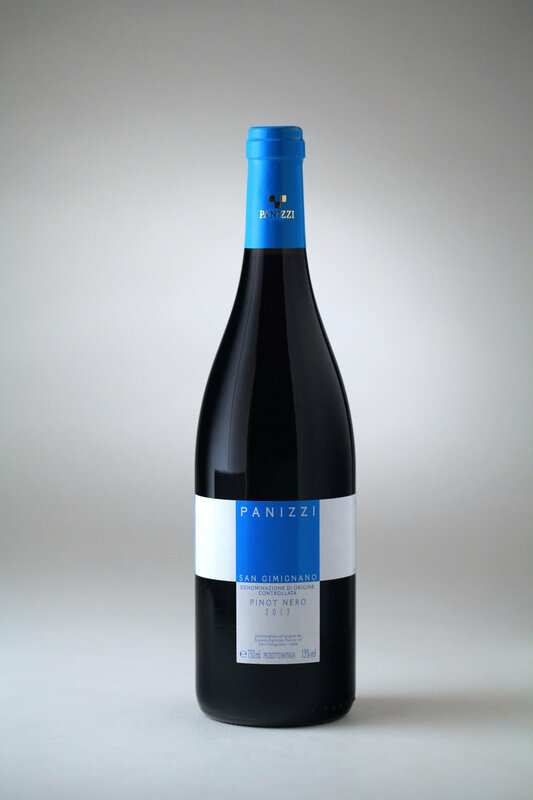 In short, the attention and the expectation were high, but luckily, at least at Panizzi, grapes have come to perfect maturation in good health, albeit in reduced quantities compared to previous years. We console ourselves with the thought that more than ever our 2017 productions will be a special and valuable asset, given the limited availability, and a truly unforgettable experience when enjoyed in their deluxe versions, namely Vigna Santa Margherita (our Vernaccia of San Gimignano selection) and Riserva. How well do you know Panizzi? Our summer quiz. Don't know all the answers? Find them below (upside down). It takes the name of the first vineyard at Panizzi, Santa Margherita, on the west hill of the city, on the edge of the woods. A place, a thought, an emotion with which Giovanni Panizzi fell in love and on which he built his (successful) project to elevate Vernaccia of San Gimignano to higher quality standards. Vigna Santa Margherita is special vineyard, made of ancient plants (they date back to the nineteen-seventies), whose grapes have shown power from the very beginning and today are used for one of Panizzi's signature wines: Vernaccia di San Gimignano Vigna Santa Margherita. Walter Sovran, winemaker at Panizzi, remembers how this wine was born: "The first year of production was 2003. Before that time Panizzi only produced regular Vernaccia and Riserva. There was nothing in between. But vineyard Santa Margherita, with its ancient plants, offered really special grapes, able to produce very articulated, deep, rich wines. It was a pity not to exploit them to propose to our public something more, with edge, so we did, and we chose to use refinement process that was not in use at the compay yet." Susanna Santini, sales manager at Panizzi, really loves this wine: "Adding a new element to the existing portfolio was a good choice, because this extraordinary product, for the process it goes through and the results it offers, goes far beyond our classic Vernaccia di San Gimignano and has all the features, in fact, of a small riserva. At the same time, it is an easy-to-understand wine that goes straight to the heart. The goal was and still is to offer a Panizzi white wine in high gear. At the sight it strikes for brilliance and brightness; the color is straw yellow with a greenish gradient. The scent is very varied and elegant; It has floral notes, hawthorn and magnolia, and fruity notes, grapefruit and pineapple, blended with vanilla hints, with mineral notes as it ages. The taste is fragrant and structured, articulated, well balanced with an aftertaste of persistent almond notes. The alcohol content is 13.5%. It is characterized by a great durability, just like a riserva: it is kept optimally for up to 10 years. To be serves at 10-12 degrees, it pairs well with fish, crustaceans, white meats, medium seasoning cheeses, saffron dishes. In recent years, the wine has won important prizes, such as 5 grappoli of Bibenda for the vintage 2013, the Crown of Vini Buoni d'Italia for its 2014 vintage and the 2 glasses of Gambero Rosso for the 2013 and 2014 vintages. As for the brand new 2015 vintage, there is a novelty in the format: it is not only available in bordelaise format, but it is also available in a magnum format. How will Vernaccia of San Gimignano Vigna Santa Margherita evolve? Its vineyard will tell, due to its continuous maintenance and renewal, such as, at this time, the replanting of its east side, visible in the video below. June in Panizzi has been marked by a long and wide tour of the Netherlands: Susanna Santini, our Sales Manager, visited our on-site importers, the best, most rooted and dedicated wine shops on Dutch territory and the most hyped places devoted to Italian food, proposing Panizzi's new vintages and old glories, from Vernaccia of San Gimignano in all its declinations, to Chianti, Pinot Noir, and Passito. All the realities visited are part of the network Les Généreux. Here is the complete itinerary, day by day. Susanna often had her hands occupied, pouring for wine professionals and wine lovers, but here we have some photos of the very nice evening organised at Van Bilsen, a delicious wine shop wih private garden. The experience of the Grand Dutch Wine Tour was preceded by some days in Lake Constance, Germany, Susanna's second home, where she was welcomed with the usual enthusiasm by our local importers and agents, as well as La Corsa di Alcide, classic car race in Tuscany, proudly sponsored by Panizzi; the Grand Dutch Wine Tour was followed by other promotional events in Italy, such as the one at Bar Italia in Portogruaro, where Panizzi was represented by Walter Sovran. Keep following us on our social networks, Facebook and Instagram. The label is gold, the most precious of colors. It could not be any other way for Panizzi,'s top wine Vernaccia di San Gimignano Riserva. It is the winner of Tre Bicchieri with Vini d'Italia del Gamero Rosso, an award obtained for the 1998, 2005 and 2007 vintages and almost achieved several other times. There are many reasons why this wine is so appreciated. Riserva is the emblem of quality Vernaccia di San Gimignano, an elegant, classy wine. A huge white wine that provides nothing less than its French cousins, a wine to be uncorked on great occasions, with great durability: after fifteen, twenty years, it will not lose any of its excellent features. Susanna Santini, Panizzi's Sales Manager, knows that she has a winning weapon when she tours the world promoting quality Vernaccia di San Gimignano, a wine that she loves to refer to as "the best white wine in the world". "When I give out tastings, I always let my clients try our Vernaccia of San Gimignano DOCG followed by our Riserva, to show what this amazing vine offers right after the harvest and what it is able to offer after a careful aging in wood and bottle. Drinking these two wines in direct comparison shows the qualitative peaks that Vernaccia di San Gimignano can achieve." Let's take a clores look, then. After the harvest, the wine faces a fermentation in new barriques and a subsequent refinement, in the same fermentation wood, for a year. A period of several months in steel follows and then the wine is subjected to a further aging in the bottle of at least two years. In the end, Vernaccia di San Gimignano Riserva is made available on the market almost four years after the harvest. When we are finally ready to drink it, the color is straw yellow, bright with greenish tones, like gold. The aroma is large, aristocratic, very varied and balanced: flowers in bloom, walnut, bunch and melon, which blend with vanilla notes harmonized with the smell of smoked mineral. The taste makes this a wine of character, concentrated, sapid, perfectly balanced, with a finish enlivened by an acidic balance. Complex, mineral, it has a long persistence with an aftertaste of ripe fruit. Its history begins immediately after the birth of the company. Let's see it together. It is 1990 and Vernaccia di San Gimignano Panizzi has just hit the market. Critics are positive and there is great encouragement. Giovanni Panizzi immediately and passionately dedicates himself to the production of a first Riserva to give full significance to the selection of the best grapes of the company, which, as is known, are used to produce the wine bearing this name. So he selects the best grapes from Vigna Santa Margherita, the first vineyard of Panizzi and produces the first version of Riserva Panizzi. In the next few years, Giovanni's attention focuses on a vineyard in Pancole (an area in the north of San Gimignano), considered very well suited to produce Vernaccia di San Gimignano Riserva. Exposure is optimal, the vines are very old and promise to give extraordinary results: Giovanni does not waste time and rents it. He even amplifies it, using cuttings made with the vegetation material taken from this same vineyard and from Vigna Santa Margherita. In 2011, there was an important change. New vineyards are tested and in particular two vineyards in the area of Larniano (west of San Gimignano), Villa delle Rose and il Caggio, are identified as suitable to provide Riserva grapes. They are younger vineyards, but the grapes obtained there are almost perfect, both organoleptic-wise and as to thier chemical composition. It is soon decided: they will give them grapes to produce Riserva. From 2013 onwards, another major decision came. Walter Sovran, Panizzi's winemaker, says: "The qualitative findings of the latest grapes have made it very easy for us to take a very important decision: using only the grapes from Villa delle Rose for Riserva, undoubtedly the best grapes in the farm. The latest vintages of Riserva, 2014, 2015 and 2016, are made of the grapes from this vineyard." The vineyard is 390-400 meters above sea level, on a slightly sloping ground and the direction of the north-south rows, and the soil consists of yellow chestnut, tuff and sandstone. The next vintage, 2014, which will also be available in the magnum version, is about to come out so everybody stay tuned. May is the month of brides, of roses and of travels. This is all true. It is also the month during which Panizzi starts its grand tour. Susanna Santini, Panizzi's Sales Manager, like every year, started a very long promotion tour to be an ambassador for Panizzi all over Europe and the US, in our opinion "the best white wine in the world". From New York to Copenhagen, da from Utrecht to Prague, here are all the places of her clients and importers. She started off in New York and New Jersey: great restaurants, wine shops during the day, unusual encounters with Ironman and Darth Vader during the night. Once back in Europe, Susanna stopped by Utrecht, together with the friends of Margaret Wines for a special winemakers dinner at Zindering. Next stop: Trelleborg in Sweden for the 2017 edition of Vinmassa at Idala Gard. And then it's Praga, where Susanna took part to a special evening at Divinis Restaurant with ENO, our importer there. Last stop for the month of May: Copenhagen with Adriat Vininport, that we would like to thanks warmly for a special special welcoming. Stay tuned for more trips to Bodensee, London and Belgium. Again this year, we left Vinitaly behind us, with an edition that proved definitely important, whose audience was - in our opinion - particularly selective and targeted compared to the one in the last editions. The return of Evoè (year 2013), our long-lasting maceration white on the skins and produced in limited edition. A brand new coordinated image, both in the stand and paper material, in the name of modernity and immediacy. The Magicbox, a selection of three old vintages of our Vernaccia di San Gimignano Riserva: 2000, 2003 and 2009. In April this year, in addition to the inevitable appointment of Verona, there have been oh so many interesting meetings in our wine estate in San Gimignano, aiming to support the export of our wines to wonderful places that could not be further away. Shortly before Vinitaly, we received a visit from some Bahamas importers, with the clear objective of knowing the place of origin of our label: they had visited San Gimignano many years ago and they can now proudly import Panizzi to their wonderful island. Together with them, our importer for Japan paid a visit. Lastly, a group of agents from Manitoba, Canada, visited in the frame of a training program put forward by Tolaini, an Italian-Canadian professional wine-maker, owner of the homonymous company and a specialized wine-bar: every year Tolaini offers their most promising young agents a special tour of the producing sites of their top selling wines. Panizzi's promotiona tour goes live! Susanna Santini, our Sales Manager, has just started a grand tour around the world. Here are May's stops, the development of which you can follow step by step on our social accounts on Facebook and Instagram. The second week of May, Susanna will visit New York City siding our top overseas importers. Be ready to see her ride a Vespa on 5th Avenue. On May 15, Susanna will be in the Netherlands for a promotion dinner dedicated to Italian wine excellence in collaboration with Margaret Wines. On May 19 Panizzi will attend for the second time Vinmässa 2017 with Idala Gård at the company headquarters in Sweden at Trelleborg. On May 24 in Prague, Czech Republic, Susanna will represent for Panizzi at Festa del Vino Italiano with our importer in the country, Eno. The month ends on the 30th, with a visit to Lake Constance, Germany, where Susanna always receives the warmest of welcomes, returning to Restaurant Pinocchio. The wait is over: after the last harvest in 2007, Evoè is finally back at Panizzi, a special white wine that explores the boundaries of Vernaccia: very ripe grapes, long maceration on the skins, the aging in wood and a lot of bottle time. Evoè had seen the light of day only on two harvests: the 2006 and the 2007. "Those years coincided with an identity crisis for Vernaccia," recalls Simone Niccolai, owner of Panizzi "whose future was uncertain; it lacked a certain creative energy. Giovanni Panizzi, consistent with the spirit and his company and his own, wanted to experience, explore new territories, and so Evoè was made". The intent was to investigate the expressive boundaries of this historic vineyard through a still little spread process and the results that could be surprising. He succeeded at the first shot, receiving rave reviews from industry guides, even improved in the next harvest. The years that followed were of extreme experimentation and years in which the result was not considered at the height of the expectations, and Evoè was not sold, but in 2013 the grapes ripened with the right degree of acidity and freshness in order to give life back to a quality wine. And here we are. The Vernaccia grapes, picked in late September, have been stemmed and crushed in conical oak vats. This was followed by the alcoholic fermentation and the subsequent long maceration on the skins for 5 and a half months. After racking and a period of aging and maturing of 10 months on the lees in casks, the wine was bottled. Finally, another 27 months of aging. A particular process, outside the box which goes beyond the production regulation, creating something really special. Here is a closer look at this wine in its organoleptic characteristics. The color is reminiscent of the bright gold mitigated by clear amber edges. The aromas are intense, haunting, unusual; the fragrant notes of elderflower and herbs are pleasantly mitigated by the sensations of candied citrus, ginger, incense and passion fruit, along with an elegant touch of vanilla. Beautiful persistence, aggressive and responsive, satisfying and balsamic returns and minerals. The great structure and aromatic complexity are balanced with the easy drinkability. Through his search, Giovanni Panizzi got perhaps close to the description that Michelangelo Buonarroti the Younger made of Vernaccia wine in 1200: a wine that "kisses, licks, bites, stings and pike". "The experimentation is such, in this wine, and the particular process so that each vintage gives rise to a unique product" explains Walter Sovran, winemaker at Panizzi. "The surprising Evoè 2013, compared to the 2006 harvest and 2007, the wealth of taste sensations, their balance and the absence of oxidative notes". With an alcohol content of 12.5%, it should be served at 14-15 degrees and matched, to be enjoyed to the fullest, with cod, tasty meats, seasoned cheeses. It is a long-lived wine is kept in an optimal manner for 10 years or more. The name was chosen, at the time, once again by Giovanni Panizzi, who loved educated references for his productions: Evoè is the cry of The Bacchae jubilation, made by women in the throes of ecstatic frenzy and potted by Dionysus (or Bacchus) god of life force and wine. Not surprisingly Evoè prepares to be the undisputed star of Panizzi's Vinitaly 2017, to be held on Aprile 9 through 12: the company's stand will have a whole wall dedicated to it and propped up the blue prime of his unmistakable label. It will be presented for the first time, in fact, on this important occasion, only to our stand B14 in Pavilion 9. Along with Evoè the other products by Panizzi that will be available for tasting at the Verona fair will be: Vernaccia di San Gimignano DOCG 2016, Vernaccia di San Gimignano Vineyard Santa Margherita 2015 Vernaccia di San Gimignano Riserva 2013. Turning to red There will be a reserve Vertunno 2012, the Folgòre 2010 and the long-awaited Pinot Noir 2015. Besides these, there will be a Ceraso Rosato 2016 and Passito 2013. For last-minute details, background and sneak peak, there's Facebook page. Our stand, like last year, will be in Pavillion 9, B14. Prowein 2017, here we come! Panizzi's wines are packed and ready to leave for ProWein, the leading trade fair for wine operators from all over Europe, that this year, 2017, will take place from March 19th to the 21st. The appointment with us is inside the exhibition area of ur importer Schlumberger / Segnitz, Hall 14, stand D90. You cannot go wrong. Professionals who wish to book a meeting with Susanna Santini in the spaces of the stand, may do so by contacting via email to susanna.santini@panizzi.it.